For enterprise environments with hundreds of client machines and servers to manage, Microsoft System Center Configuration Manager (SCCM) is a must. It provides remote control, patch management and installation distribution from one administrative location. 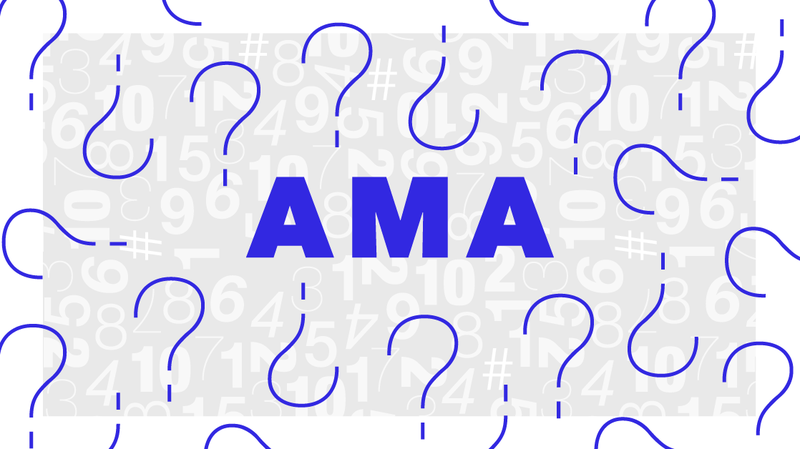 Microsoft’s SCCM engineering team and Enterprise Mobility MVPs did an AMA a little while back covering questions focused on the new 1810 release. They hung out for a while answering questions, taking suggestions, and even doing a little tech support. Here are some of the top questions and comments to highlight what SCCM users want — and Microsoft’s response. 1. There’s a new “Wake Up” action. If you’re familiar with older network cards, you know that when the client machine goes into sleep mode, it is no longer accessible over the network. Admins are forced to call users and have them manually “wake up” the machines — just so they can be accessible over the network. Want to share a drive on the remote machine? It’s also inaccessible. But Microsoft added a feature in SCCM 1810 that allows you remotely to wake up client machines in close proximity. Previously, admins were forced to use a “wake-up proxy,” but that’s no longer needed with the latest SCCM version. 2. Users are getting a choice when it comes to restarting devices. There are times when a user isn’t ready for a reboot. Or a client workstation restart must be postponed. Previously in SCCM, an admin could restart the client workstation at the drop of a dime — but users had no choice when it comes to stopping it. According to this tweet, they are working to completely re-architecture the entire reboot experience, including deferrals and mandatory scheduling. This is going to be happening over multiple releases, but the first iteration is coming. Through this redesign, the SCCM team is listening to users about what they want to see from an improved reboot experience. Admins can still force a reboot. However, users will be able to postpone the action until after they are done saving files. Admins will also be able to schedule restarts. For example, they can restrict them to after hours to avoid workday disruptions. This gives both users and admins more flexibility in mandating and opting for reboots. 3. Tracking reports are now actually meaningful. Several admins requested better audit tracking report features. Currently, there is a cumbersome report for status query messages. Adminis can track modifications, but they can’t see what was modified. Honestly, they’re not even asking for a lot. They said they’d be content with basic logging and auditing features. Microsoft acknowledged the need for better reporting. The good news is that its engineers have opened channels of communication to review current reporting features. In fact, they’ve already said they’re looking into some better tracking features. For example, they are exploring traditional event logging for future releases of SCCM. 4. You can now share ConfigMgr objects and Git repositories. In 2018, Microsoft purchased Github, so naturally, the company plans to integrate it into some of its products. One Redditor asked a question around sharing repositories and versioning the software in private Git accounts. In a nutshell, Microsoft plans to incorporate Git by sharing ConfigMgr with the IT community. This should alleviate the responsibility of admins who are forced to keep their own repository of shared code and scripts that deploy configurations across large networks. Pretty cool. 5. There’s going to be more Azure integration with SCCM. A lot of discussions revolved around Azure integration. Running services in the cloud are more important than ever for system admins. Microsoft pointed out that it has several features already baked into SCCM and Azure. SCCM can already run in the cloud as an IaaS application; it’s also available as a managed service. The Microsoft engineers mentioned that they’d soon be incorporating Azure storage solutions and content library sharing. Codenamed Intune, Microsoft will allow users to create an SCCM instance in Azure. 6. Microsoft is not transitioning to a web-based console for now. Some Redditor admins complained about the console, specifically that it can only be installed on a Windows machine. Considering that SCCM has several updates each year, consoles must be updated along with other patches, which can add work for admins who support multiple machines. They pointed out that a web-based console would alleviate this issue. One of Microsoft’s representatives announced they considered a transition to a web-based console. Unfortunately, a Microsoft representative indicated that the ROI does not substantiate the cost to build a web-based console right now, so admins will have to continue using the Windows-based console application. But that doesn’t mean the concept has been completely dropped. Should the ROI be high enough, Microsoft said that it would consider it again. 7. SCCM is now using the OData REST endpoint instead of WMI as the main API. The Windows Management Instrumentation (WMI) controls devices by managing both data and operations. It provides statuses on devices for users including SCCM, but Microsoft developed a better REST Endpoint as the main API. The OData Rest Endpoint as the main API will address a lot of UserVoice concepts. It allows the Microsoft community to create their own web consoles. The first iteration will ship with the latest SCCM 1810 version. Microsoft also announced that it will invest more time into this architecture. 8. You can now decline updates in WSUS for performance’s sake. Microsoft added some WSUS updates in earlier 1806 versions, but enhanced features even further in version 1810. Admins can decline updates if they don’t want to risk slowing down performance. They also introduced a cleanup behavior in 1806 that can improve performance on large enterprise network environments. 9. There was plenty of talk about SCCMaaS. Admins have been looking for a way to implement SCCM as a service in the cloud. Having the more “central” roles like the primary site server and WSUS, hosted in a canned environment would keep traffic over the WAN to a minimum. This would essentially help everything run more efficiently. Microsoft has suggested that Intune is the answer to giving admins SCCM as a service, but they want something more. Microsoft is looking for a co-management option, which would allow SCCM devices to show up in the Intune console and coordinate workload management. The biggest piece of good news that can be taken from the AMA is that Microsoft engineers and MVPs are listening to admins who use their products. If there’s something you think can be improved in SCCM, you can create a User Voice item. Then you, along with the SCCM engineering team, can see firsthand how common the ask is in the community. The latest 1810 is definitely improved. But Microsoft is still tirelessly working to make SCCM even better. And the best thing about it? User feedback is helping them deliver.